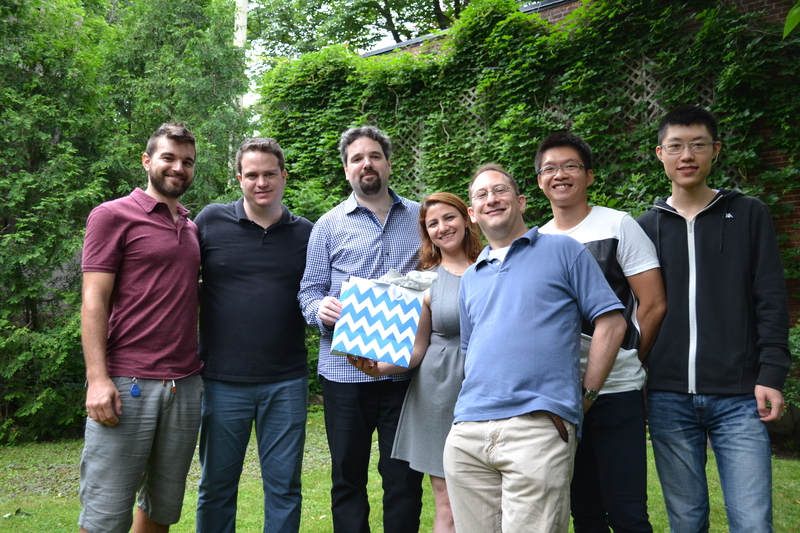 Aerial Technologies Inc., a Montreal-based artificial intelligence company and recent graduate of TandemLaunch, has concluded a $2.25 million funding round co-led by Fonds Innovexport and successful entrepreneur and investor Jean-François Grenon. Strategic investors include Kibo Ventures, a Spanish-based VC firm which has Grupo Telefónica as one of the main investors in the fund and Wayra, part of Telefónica Open Future network, and Quebecor Group, a leading Canadian integrated communications company. Angel investors affiliated to TandemLaunch also joined the round. Founded in 2015, Aerial uses existing Wi-Fi signals and cloud-based machine learning AI to detect presence and motion. Aerial processes the disruption of pre-existing Wi-Fi signals by people and pets and adds context and meaning to motion, allowing the recognition of presence, motion, activity and identity. Conceived by Michel Allegue, CTO, based on IP that originated at McGill University, Rutgers University and Steven’s Institute of Technology, the software can be embedded in virtually any Wi-Fi network equipment or device and does not require wearables or additional sensors to work. “Aerial has a very strong team supported by TandemLaunch, a world-class incubator. Considering the traction they already have in the market, we believe they will be successful. Innovexport definitely made that investment with the objective to participate in future rounds to foster Aerial’s growth,” said Serge Lavergne, Vice-President Investment at Innovexport. Early Smart Motion applications provided through Aerial’s business partners will include Presence Awareness and Motion Detection, Home Intrusion Detection, Smart HVAC energy optimization, healthcare and elderly care monitory services, and intelligent motion awareness for a variety of smart home devices. And while home security may be the logical first market for Aerial’s technology, it’s the ramifications for healthcare and elderly care that attracted Grant to the company. Aerial has offices in Montreal, the US, and Europe, and the technology, already in pilot with several large Internet Service Providers (ISPs) and Multi Service Operators (MSOs), will be deployed into existing equipment offered through these service providers.